that remain together are more likely to come from the same chromosome. where his students made great advances. differences in chromosomes to a difference in attributes. and was the one to introduce the fruit fly into Morgan’s lab. map of a chromosome by breeding many flies with different features. contained the genes responsible for heredity. could cause mutations that were useful for studying genes. want to lay eggs in a warm damp piece of fruit. one yearns to be free, or at least to mate frequently. as brutality. Why is it so hard to love our brothers and sisters? Although scientists understood the role of chromosomes in inheritance from the mid-1880s, the work of Gregor Mendel was not rediscovered until 1900. Chromosomes were visible in microscopes, but genes could be observed only indirectly. 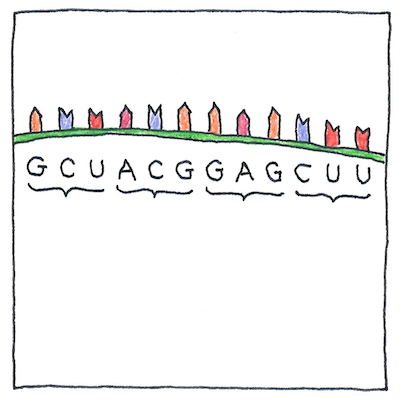 A gene corresponds to a section of the deoxyribonucleic acid molecule (DNA) that forms the nucleus of each cell in the body. The DNA is tightly packed to form chromosomes. The structure of the DNA molecule was not discovered until 1953. Based on his observation that his mutant fruit fly with white eyes was the offspring of red-eyed parents, Thomas Hunt Morgan argued that eugenics was not entirely scientific. Understanding the genetic effects of X-rays led Sturtevant and Muller to warn of the dangers of radioactive fallout from nuclear testing and nuclear war. But Sturtevant and Muller did not agree on the value of eugenics. The pseudo-science of eugenics is intermingled with the development and demise of the eugenics movement, which co-opted many well-meaning scientists with the hope of improving humankind, and degenerated into brutal and stupid acts of racial and ethnic hatred, including the genocidal crimes of the Nazis. The key problems with eugenics are our inability to objectively determine what genetic differences are improvements, and our weakness for using coersion and brutality to get what we want.